In today’s episode I get to speak with Scott Compton (a.k.a Mister Spock) from the EMF Warriors on the topic of electromagnetic field hygiene plus nnEMF health awareness. 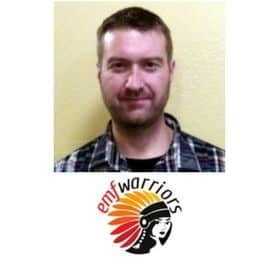 Scott is one of the three main founding members of the EMF Awareness support group called EMF Warriors. He comes from a biology background and starting his career in chemistry labs to moving into the tech world and learning about how our technology devices emit different frequencies that can influence our health. Especially if you have electromagnetic hypersensitivity symptoms. Special thanks to Scott for joining me on the show. Enjoy the episode! For more information about EMF Warriors sign up to access their library of information on EMF health topics. Go to emfwarriors.com to sign up for free plus join their private Facebook group for extra support on any questions you might have. What are non-native EMF versus natural EMF’s that we are exposed? Dirty electricity & wall socket filters like Greenwave that should help, but don’t always. Scott’s test findings on discovering excess EMF in strange places, like his own bathtub! EMF hygiene tips for children in school using tablet computers. Wifi vs cellular connection, which is better? Airplane mode on your cellphone. How to make your bedroom better by avoiding common EMF issues.